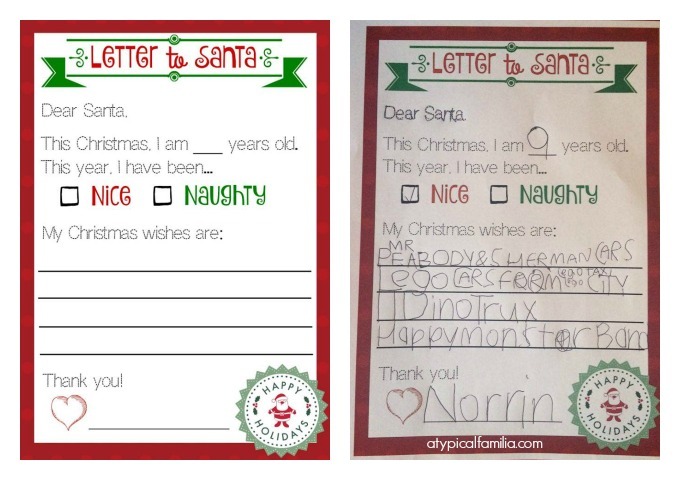 Over the weekend, I asked Norrin to write a letter to Santa using the template I created. Not only was it a fun activity for him but it was a cool way to work on his handwriting skills. Norrin loves Christmas. Well, he likes the idea of getting presents. And everyday his Christmas list gets longer. Our Elfee has already arrived and we started our LEGO Star Wars Advent Calendar. Norrin is counting down the days and his excitement is getting me in the holiday spirit. Will Norrin get everything he wants for Christmas? Probably not. The Mr. Peabody & Sherman pop figures are like $75 sooooo that’s not happening. And he’s also asking for 11 DinoTrux – he’ll have to settle for 1. And as for Happy Monster Band, I don’t think there’s a toy line yet. But there’s other things I know he wants and I’ll know whatever he gets on Christmas Eve, he’ll be happy. My amazing amiga Diana aka LadyDeeLG was nice enough to translate the letter into Spanish and share some great suggestions on how to practice Spanish vocabulary words. 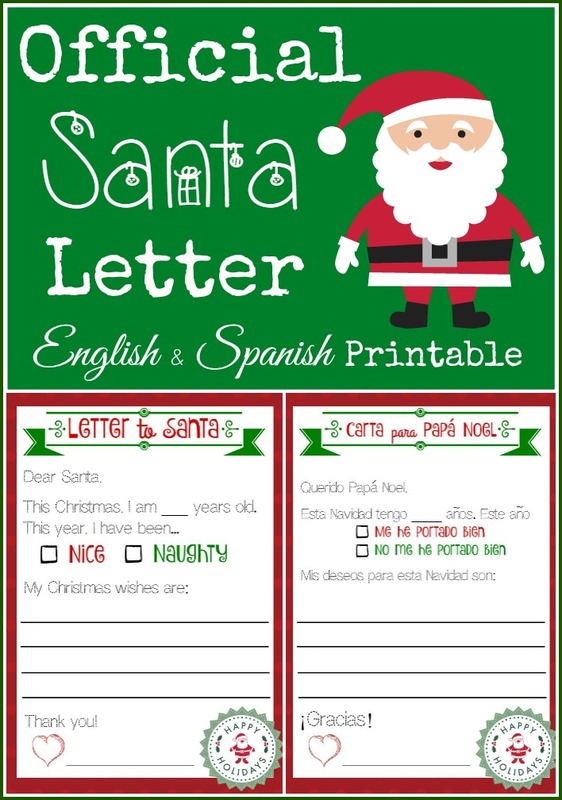 To print a version of this Letter to Santa in SPANISH visit LadyDeeLG. We’re doing Vlogmas for the first time this year! Check out this quick video of Norrin writing his letter to St. Nick.